I am talking to you today deep feelers. Feel all the feelings. Wade in them, sense them, rely on them, be one with them. Do not avoid them. Do not fix them, they are not awry. You were created this way! You are not broken. You are not wrong. You are not behind the healing curve or holding onto things too long. You sit with the broken hearts and know the weight that they carry. You are the answered prayer to "Lord, break my heart for what breaks yours". Don't begrudge those deep trenches you are called to. Your calling is being fulfilled! Don't be swayed by being told to be silent. Don't be shaken by bullies or held down by those who can't relate to swelling emotions. Do not let those who are uncomfortable with emotions tell you how to behave! Don't be forced to be "ok". If someone hurts you, they are not allowed to say they didn't. You sit with those feelings and watch how the Lord will turn them into tools. Jump into the mess and see how He sorts it. In the depths is where He has called you. Don't be afraid to get wet. It's your aching for others that sets them free from their prisons. 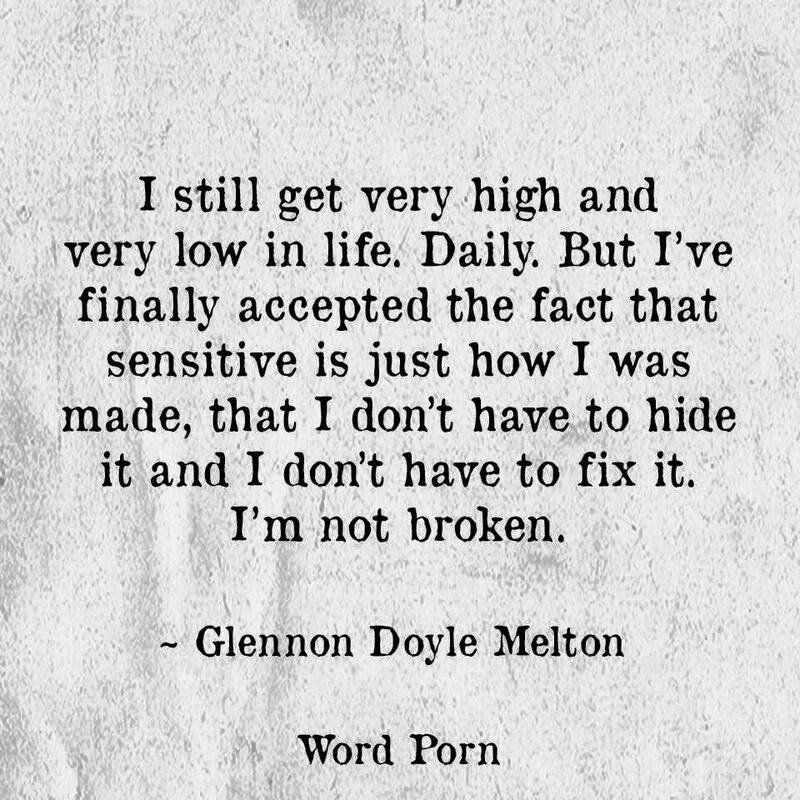 They are not broken either. The truth will come to light. That's what feelings do. Broken hearts are light bearers if you give them a place to shine. You have to get in there. You cannot clean out the closet by standing the the garage. Be wary of those in the depths of sorrow and yet have no compassion. They are wolves. Do not be intimidated by them. You were made to speak truth. Be still but do not be quiet any longer. Speak. Don't find your comfort in staying in the middle. You were born to swim, to charge ahead, to lead the way. Follow the feelings, they are not an accident. Do not be ok with feeling numb. Do not be afraid of those who do not cling to truth. Who deceive and lie and bully. Their foundations will crumble beneath them as you stand strong. Do not be talked out of your feelings. Do not be told to move on. Do not allow someone else to dictate who you are and how you should fit into their mold. Feel all the feelings. Be whoever the hell you were created to be. And stop taking crap from anyone. The deep feelers will not have it anymore. *A teeny p.s. to those who insist on returning to this blog despite their feelings on my genuine level of being terrible. Please do not come back. Do not keep reading. Do not return. If you do not like the truth I tell, that is not my mess to clean up. Every post is inspired by what God has laid on my heart and He has confirmed it's truth by the hundreds of folks (local and afar) who it rings a bell with. 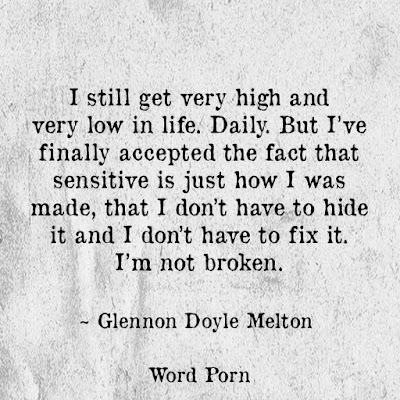 Emails and messages and encouragements from a great number of feelers who just needed permission to feel broken. Healing is happening and I will not be bullied by you. Please stop coming by, your words of ugliness do make it back to me.